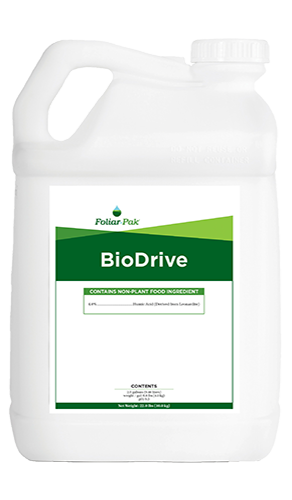 Foliar-Pak® Microsync is the ideal micronutrient addition for lawn care applications and is safe in spray tanks with broadleaf herbicides. 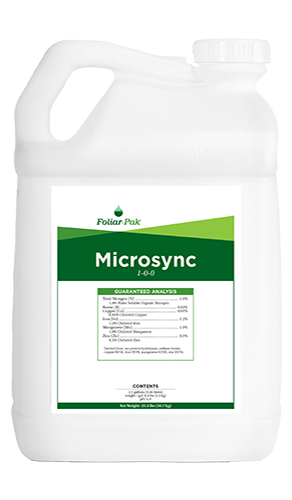 Foliar-Pak Microsync is a well-balanced micronutrient package built with amino acids. 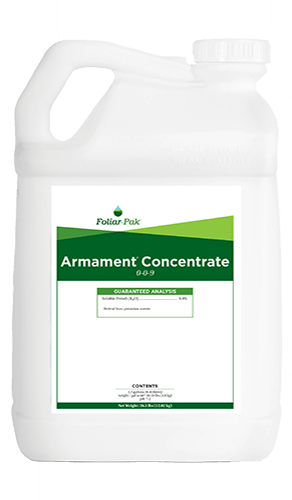 Premium nutrient chelators improve uptake efficiency and compatibility with broadleaf herbicides. Iron and manganese support chlorophyll production and photosynthesis. 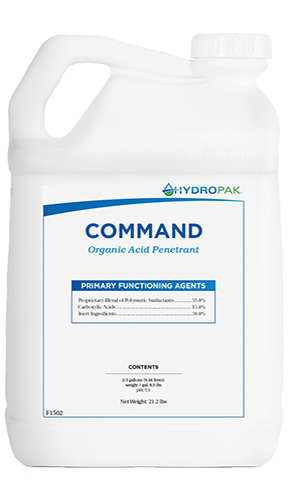 Zinc plays important roles in root initiation and antioxidant production. 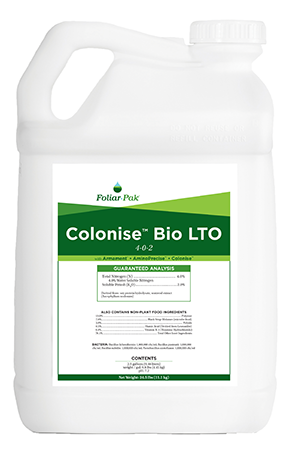 Copper and manganese work as enzyme activators in the process of building proteins. Boron is crucial for cell wall development by providing structural linkages in cell walls.